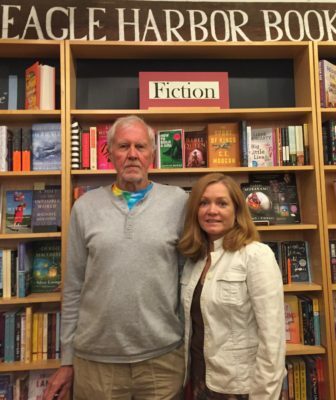 In this 17-minute podcast conversation, meet Jane and Dave Danielson — the two long-time islanders who are the new owners of Eagle Harbor Book Company, the Island’s iconic independent bookstore on Winslow Way. When Morley Horder, who has owned our beloved neighborhood independent bookstore for over 20 years, wanted to sell, he turned to Jane Danielson, long time employee, and her husband Dave. Both are lifetime lovers of books and bookstores, hanging out in them everywhere they travel, including Capetown, South Africa. 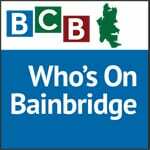 In this interview for “Who’s on Bainbridge,” we learn that while Jane has worked a variety of jobs at the bookstore, including events coordinator, Dave has had a very distinguished legal career, including doing human rights and social justice work in Africa. He has worked with Desmond Tutu’s organization, Institute for Justice and Reconciliation, among others. On a break from her work in the bookstore, Jane also traveled with Dave to Africa, and helped to develop an archival center in Uganda. They met in the bookstore. Who knew that bookstore romance could develop into bookstore ownership? But thankfully for us Bainbridge Islanders, it did. So our much loved independent bookstore, an anchor and icon in downtown Winslow, will stay in local hands – ownership, management and, most importantly, the staff who we all have come to depend on. 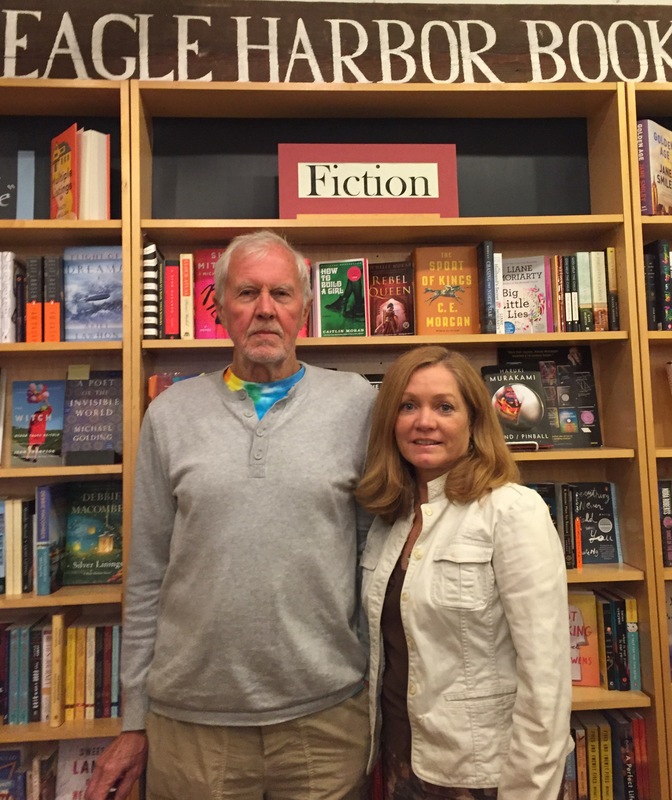 After slogging through the legal and administrative business of changing hands, Jane and Dave envision a bookstore that will become even more a hub to meet authors and raise and discuss ideas in the community. 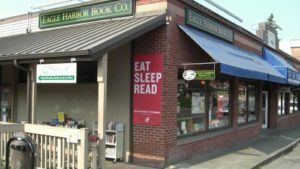 They envision collaborating with other local organizations and businesses to offer opportunities to gather and discuss important current events, informed by relevant books available in the store. And you can meet them at the upcoming store event. Jane and Dave will host an Open House at the bookstore 7-8pm on Thursday July 7th to both honor Morley’s enduring 20-year leadership, and to introduce themselves to our BI community. In this highly competitive age of e-books and Amazon instant downloads, we hear in this podcast conversation how the Danielson’s are inspiring us to continue to support our most centrally-located independent bookstore in our downtown.